On a day that saw all four seasons in one, the girls from Sacred Heart in Tullamore made history by winning the first ever All-Ireland GX7s tournament in Aviva Stadium. 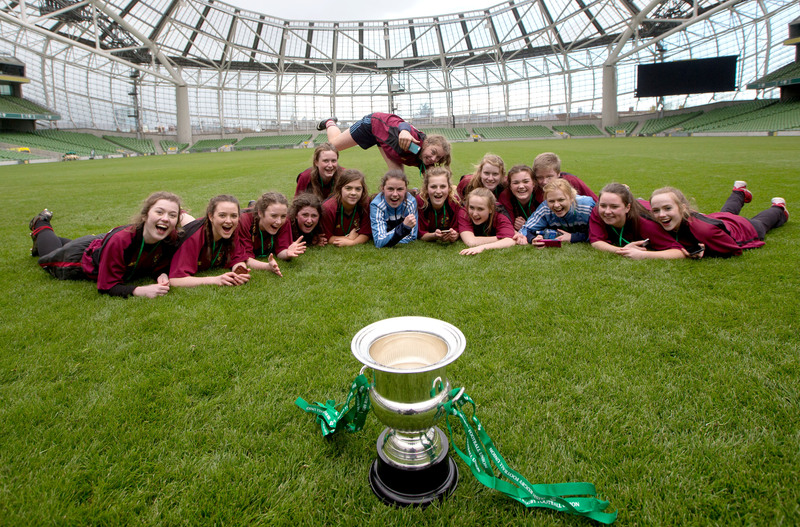 16 schools representing all four provinces made the trip to Aviva Stadium yesterday for the All-Ireland GX7s finals. 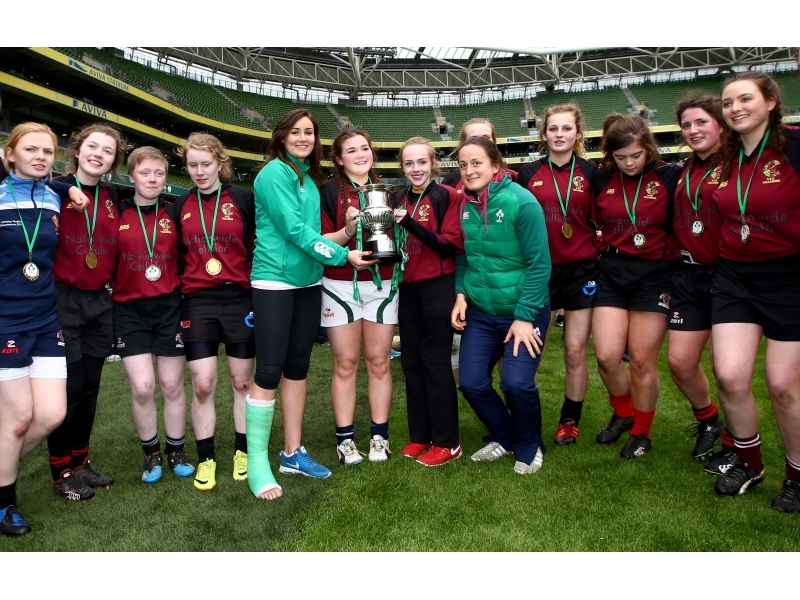 Under the watchful eye of several Ireland Women's 7s and XV stars including captains Lucy Mulhall and Niamh Briggs, Sophie Spence, Audrey O'Flynn and Louise Galvin - the action was fast and furious throughout the day despite the weather. 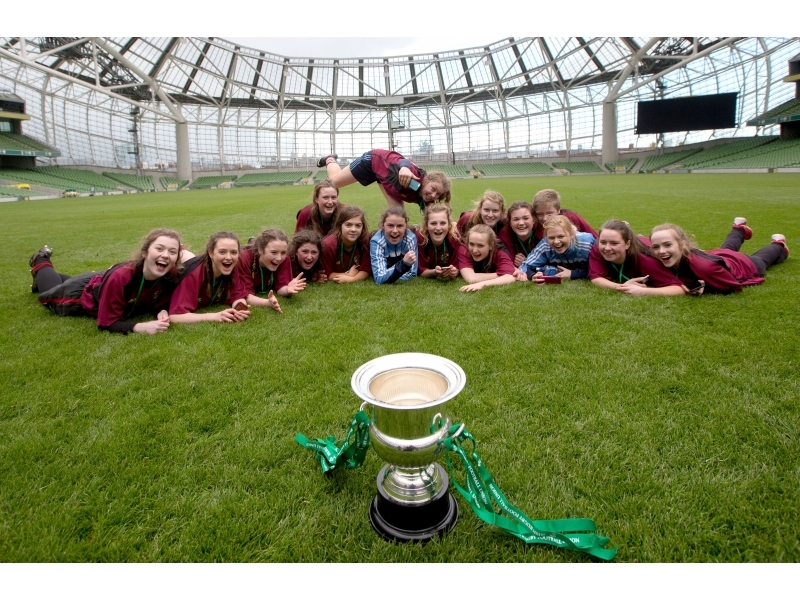 The IRFU Director of Sevens & Women's Rugby, Anthony Eddy was also on hand and with the Ireland Women's 7s aiming for a shot at the Olympics he may well have spotted some future internationals yesterday. 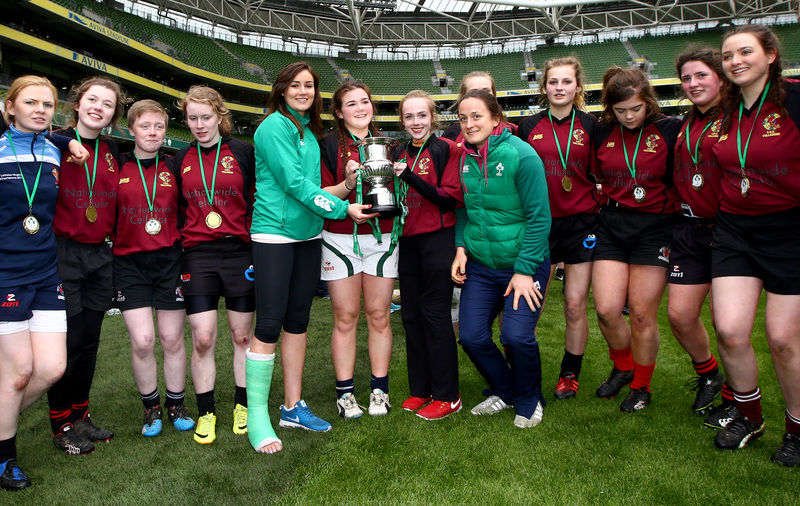 Sacred Heart Tullamore scored first in 'Golden Try' extra time to defeat Enniskillen Collegiate. In the Plate Final Monaghan Collegiate and Rockwell finished all square at full time and after extra time so Monaghan were declared winners having scored first. 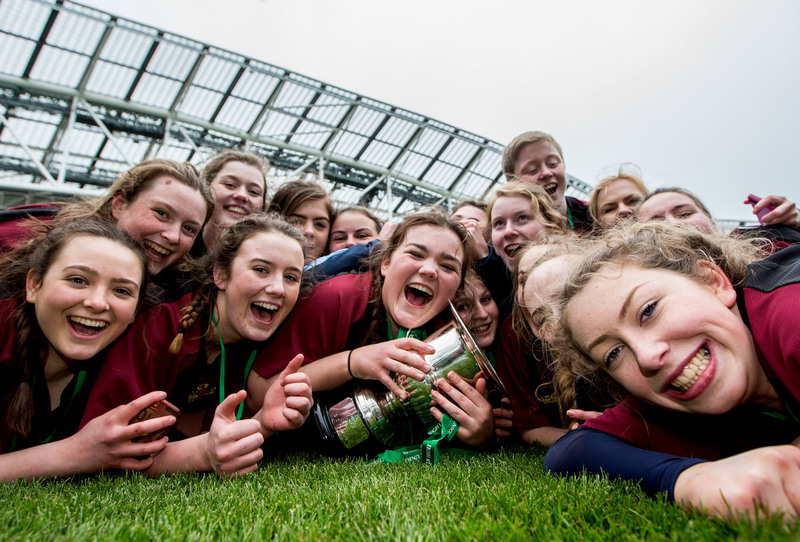 'Today was the culmination of a lot of hard work by the schools, their teachers and coaches and the development officers in all four provinces. 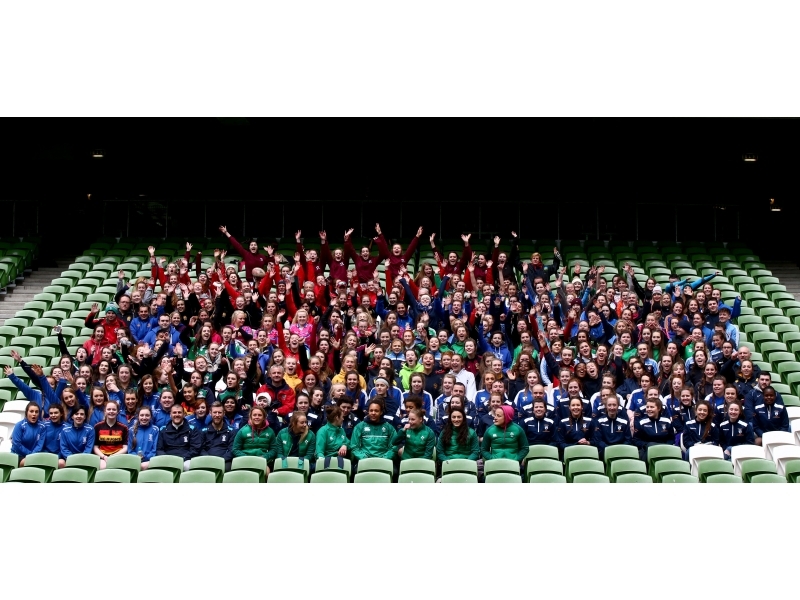 It was just incredible to see so many girls take to the pitch in Aviva Stadium. I was lucky enough to play there for Ireland and now these girls can say they did the same. GX7s has brought rugby to schools that only a few years ago would never have thought about the sport so we are building for the future and bringing more girls to the game than ever before'.